Our Mystery Science Lesson Was AWESOME! !-Sign Up Fast for Your Free Membership – Happy. Homeschooling. Housewife. Last week Lela and I took a class together. We were four lessons into our new Social Studies program, learning all about maps and locations around the United States. 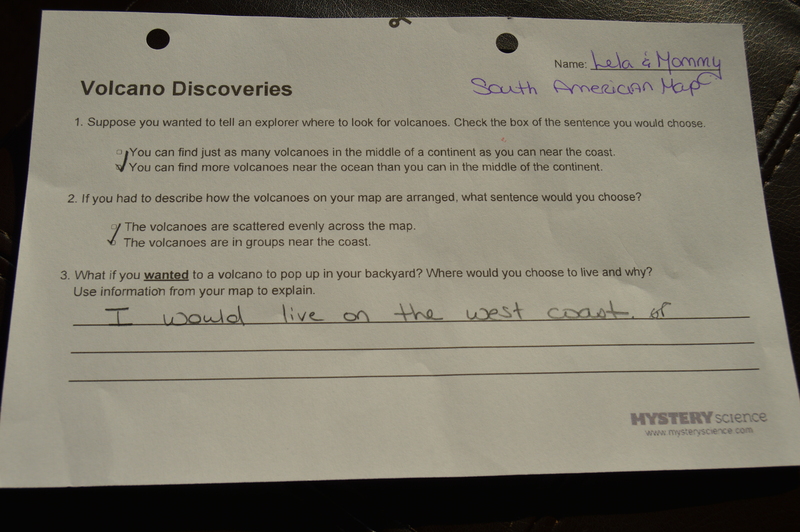 So this is the very skill (locating places on a map) she found so boring when I taught her last week in her regular Social Studies class. 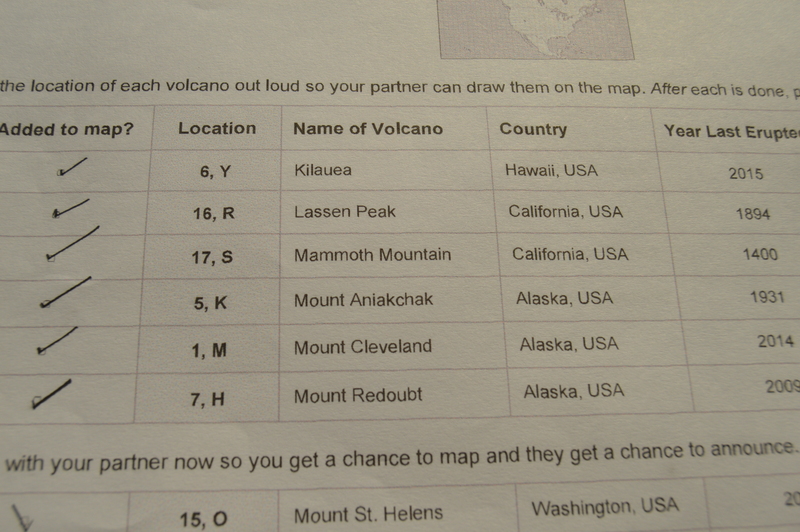 I was stumped with how I was going to make this part of social studies (map work) interesting. I was browsing through Mystery Science’s menu, getting myself familiar with the program and came across a lesson titled, Could a Volcano Erupt in Your Backyard? Well it sure did catch my attention! Although the lesson is a science lesson it tied nicely with the concepts we were learning in Social Studies so I thought we would give it a try. I love this program is so complete! There are several different points when you stop and talk about what you have discovered. We loved it! I am so happy I did. Lela and I enjoyed our class. I loved the instructor, the videos (engaging, effective and not too long) the organization (everything you need is provided) and the fact that after the lesson we both could answer the question. 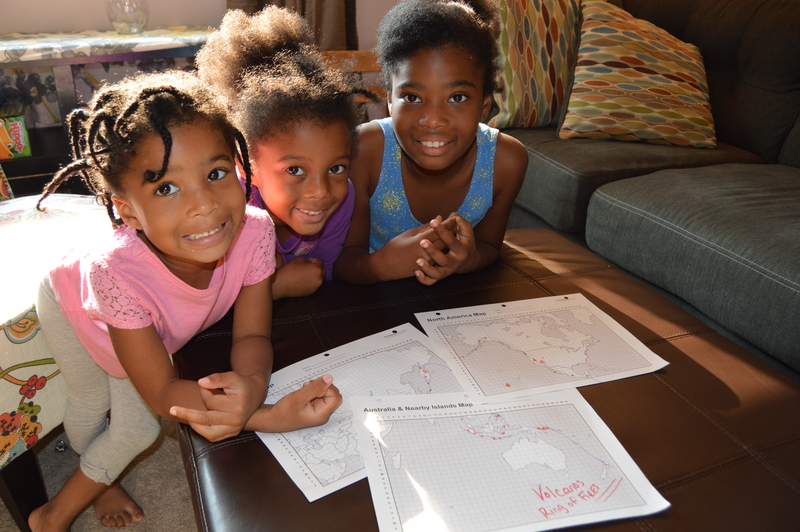 We weren’t the only ones who could answer it, her little sisters could too. Now that is pretty awesome. 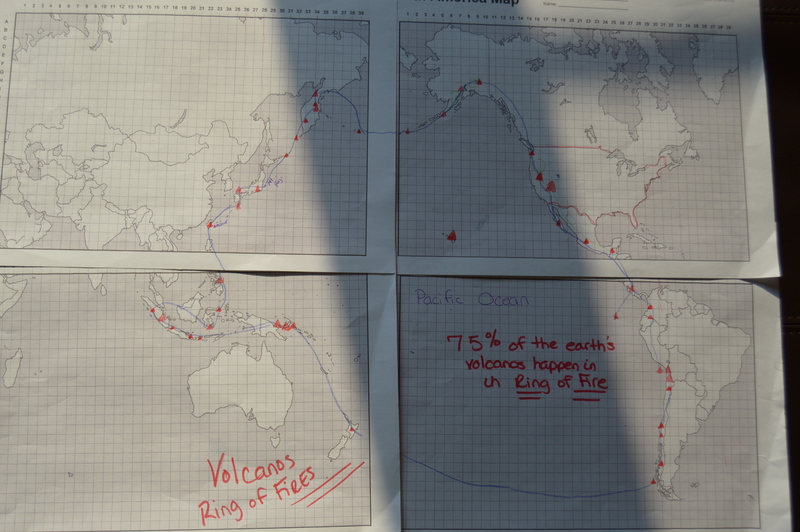 We are both happy we live far away and outside the ‘Ring of Fire’! Mystery Science provides open-and-go lessons that inspire kids to love science. Even though this online resource is targeted towards schools, it will work perfectly in your home school class. It makes it easy to deliver an incredible science lesson without a science background. Rather than a textbook approach to science vocabulary, hands-on activities engage students with the mysteries of science and expose them to the joy of scientific inquiry at an early age. Lessons are aligned with Common Core and Next Generation Science Standards and designed to supplement existing curriculum. Mystery Science was started by two long-time friends, Doug Peltz and Keith Schacht. Doug was a master classroom teacher, a science department head, and the creator of an original science curriculum that made science the most popular subject at his school. He leads the curriculum development team. Keith Schacht, the CEO, has started and sold three technology companies, was a product manager at Facebook, and a TED speaker. Don’t miss this AWESOME opportunity. Sign up today for free before you have to pay (the cost is $99 per year–still worth it!). Be sure to spread the word! Stay Encouraged & Be Blessed!! Next Join Lela’s Water Revolution!